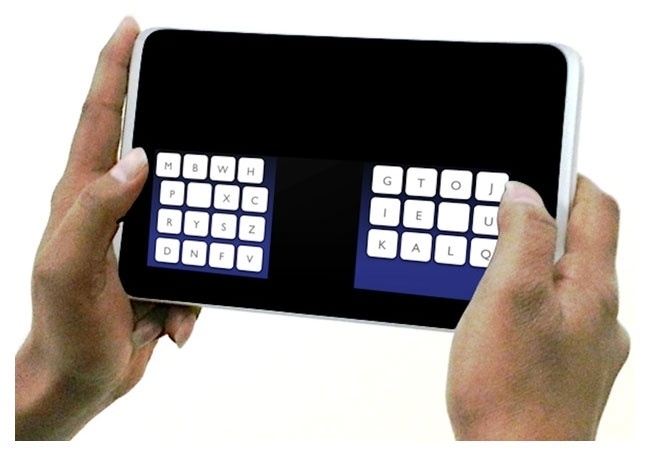 How might the KALQ keyboard revolutionize the way we type on mobile phones? The QWERTY keyboard is for big, chunky computers. But as more and more of us turn to our smartphones and tablets for daily computing, doesn’t it make more sense to come up with a new, smaller keyboard that is also more thumb-friendly? That’s exactly what University of St Andrews lecturer Per Ola Kristensson and his colleagues at the Max Planck Institute for Informatics and Montana Tech did. It’s called KALQ, named for the last line of the letters on the keyboard. This invention is supposedly more ergonomic and efficient, but it takes at least 8 hours of practice to master its usage. Kristensson and his team plan to release the keyboard as an Android application in the next month or so. Are you frustrated by the QWERTY keyboard on your tablet and smartphone? Would you switch to the new KALQ keyboard? What is the design principle behind KALQ?